VW POLO 1.4TDI 55kw 75Ks 2007god UNIKAT! 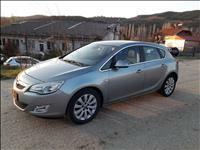 OPEL ASTRA 1.7CDTI 2011GOD KAKO NOVA UNIKAT100% !!! AUDI 2006GODINA NA 165.000km UNIKAT!! AUDII A4 2.0TDI 140KS KOLATA E CISTO NOVA UNIKAT! FORD FIESTA 1.4TDCI NEW FACE NOVAA!! !